Stacy’s life is in free fall. She finds herself clutching a handgun, searching for a sign that tomorrow will be any better than today. Her cell phone rings, bringing an offer that may postpone her soul searching. The discovery of an airplane graveyard containing a dozen commercial airliners is shocking. When the salvage camera reveals them to be virtually undamaged under in the Indian Ocean, theories abound. Who put them there? How are they still in one piece? What reason could there be? Stacy is about to learn the answers to those questions, as well things she’d prefer to forget. Dominick Dunn is in people acquisition. When the phone rings he shuffles off to the far corners of the globe to retrieve the captured, then turns them over to his employer. He doesn't actually believe these people are immortal, but the pay is good and he likes to travel. Despite rumors that his quarry meets an unthinkable fate at the hands of his employer, he's content with his lot in life. Aaron Wessker is miserable. His life has not gone according to plan. 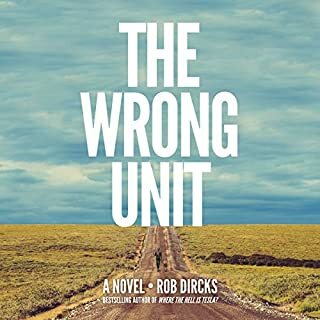 Trapped in a dead end job bartending in Vegas, he longs for a family he lacks, or at least the possibility of a girlfriend. Their lives are about to intersect, causing them both to rethink their place in the world. More importantly they will have to change their opinions of the possibility of immortality. Unfortunately for both of them they will have to do this very quickly. Dunn's quarry is also being pursued by something much more deadly than his employers. Dominick Dunn is about to become the hunted and Aaron's world is about to be turned on its side. Very different from books I have listen to. I love addition of biblical history intertwined with mythology. The pacing is great and the action kept me on the edge of my seat. Definitely recommend . 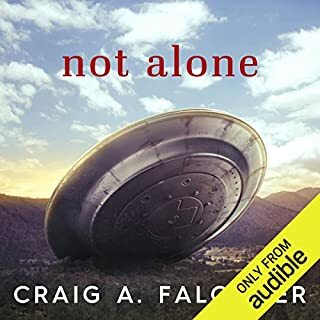 This audiobook is different from audiobooks I've been listening lately. I love the incorporation of biblical history intertwined with mythology. The pacing is great and the action kept me on the edge of my seat. Definitely recommend this read! 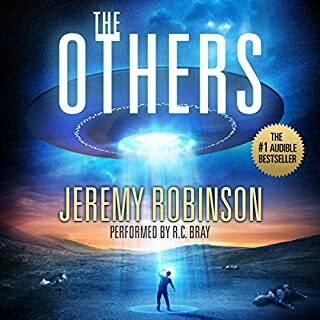 This is the second book I have listened to of this author it was almost as good as the first one. I have to admit it was a little confusing which most likely had to do with the narration. The author gives lots of twists and turns some are very shocking and surprising. He gives you a story of people who are immortal living thousands of years going into vivid detail of how they live and how they die. Some die from the same things you and I do and others do not. The story moves pretty fast with lots of suspense and action that keeps your attention. When the hunted becomes the hunter and turns the table’s things get very hot. Mr. Baker’s narration isn’t too bad he does need to slow down and pause, giving the reader time to process what they just heard before moving on to the next sentence. When going from one person or story it isn’t smooth and runs all together. Some of his characters voices are great giving wonderful emotions but others are a little high pitch or flat. It was hard for me to keep the characters apart due to the reading speed and character voice sounding too close together. There are no background noises, no volume changes, if any breaks where taken I could not tell. There are a few pitch changes but I believe he will get this worked out over time. From what I can tell he is very new at narration but I feel he will grow and learn. Dominick, Bea’s and Shelly’s voice were wonderful. These were given great emotions. They really came to life for me and I grew to love them dearly. His accents were wonderful and I thought Dominick’s and Bea’s dry humor really came through making me chuckle. Mr. Baker’s normal voice is very pleasant to listen to but he does need to work on his female voices. They for the most part sound more male. I didn’t care for Ronnie’s voice it was to male for me and to high, it just didn’t sound natural. I did think he put a lot into the action and suspense and this part really pulled me in. I do believe over time his narration will improve and he will be wonderful to listen to. 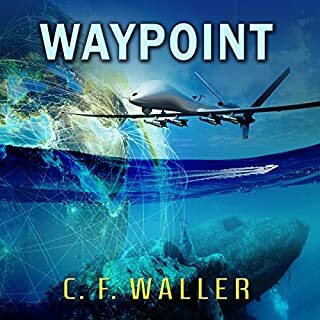 Mr. Waller really knows how to grab his reader’s attention giving you characters that you enjoy. There wasn’t a character I didn’t like even the evil ones kept me smiling or chuckling. He spins a tale that is interesting, original and makes the reader think. Before you know it you yourself almost believe in immortality. This book is really totally different from the other book I have read of his. It is refreshing, in-depth, spun around a delightful plot which really keeps you spellbound with a story you have trouble putting down. His characters are vivid, charming and delightful with wonderful personalities. At first I thought the story to be a little confusing but in time you will find how each character plays an important part. Some will die and some will live but it is amazing how this comes about giving the reader vivid details that hold your attention keeping you with ears/eyes glued to the outcome. The ending is really a big surprise, that never even cross my mind. It is well setup for the next book in the series which I have bought. I can’t wait to see where the author takes it. You can tell this is one book that was well thought out keeping the reader in suspense with dry humor and delightful wit. You really have to pick this up to know what you are missing. Good book. Very twisty turn-y. I enjoyed it a lot. Would you listen to The Calling Tree again? Why? Yes, I plan on reading this story again, as it kept my interest throughout the entire story. That is a big bonus for me. What was one of the most memorable moments of The Calling Tree? Realizing that your life is in danger: that is what Dominick Dunn realizes... and has to face that danger head on. My favorite scene ... well, pretty much the entire book. 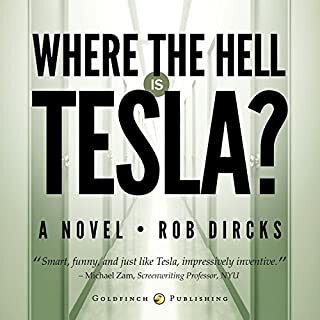 Nope, though this is a very well written book... each character is brought out by both the author and the narrater, and is a very enjoyable story. I was provided a free copy of this book for a honest opinion. Yes, just to catch the things I missed the first time. Knowing how the story goes now, I will see the things I didn't notice the first time. There was more to the story than I expected. There was multiple types of characters that you don't always see in other book series. Which character – as performed by Wyatt Baker – was your favorite? Loved them all. Each character had their own voice, which brought them to life for me. At first no, but once the story got going yes. I would find myself listening throughout the day while working. The Calling Tree is definitely not what I expected; it was a pleasant surprise. When it comes to immortality, Waller writes in a completely different way. I found myself actually rooting for the bad guys for a bit. This is a great start to a new series. The mystery and suspense will keep readers on the edge of their seat. It took me a while to get into it, but once I did, I couldn’t stop listening! I loved The Calling Tree and recommend it to all readers. 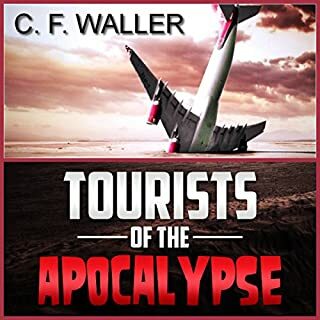 The overall rating for me is 4 stars for the story and 4 stars for the narration. I would recommend and have already done so! The book is interesting and different. Lots of twists and turns and a good pace throughout. Looking forward to the next in the series (but this was definitely able to stand alone, no big cliffhangers at the end of the book.) Even though I have reservations about the hero's and heroine's jobs, I found the characters likable. It kept moving and had interesting twists. Somewhat confusing and hard to get into. The narrator is a bit monotone so it didn’t help me get into the book. It was a pretty neat idea for the story, I’m just not sure I cared for the writing style. Still I’m curious enough I may try the next book. 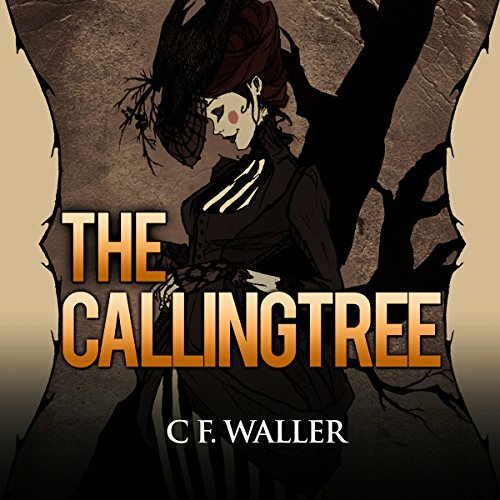 The Calling Tree is a very interesting tale about immortals and those who want what they have. It is told from various points of view which was confusing at the start but the narrator did a great job of giving distinct voices to each character so I was able to follow along easily once the characters were introduced. I found the story to have great characters that I quickly became invested in and the world building was on point. I look forward to seeing where the Author takes this story in Book 2. Wow. I loved this. We jump into the book questioning who the good guys are and why the people who are hunted are special. You get all the answers you need as we progress through this really delightfully well written and excellently narrated book. We have immortals in here so its a little sci fi but that doesn't run away too much, it feel plausible and real. Excellently described characters bring them visually to life and compliment an excellent story. The action can be violent but not so that it feels out of place. All of the elements of the book work really well. There's a slightly open ending but I really liked it. It felt complete as a book in terms of giving answers to the story but also left me wanting more with the possibility to do so. I loved the narration. It gives visualisation to the wonderfully described characters. It set's pace and gives tension and it was also really great to listen to in general. It went excellently with the story.